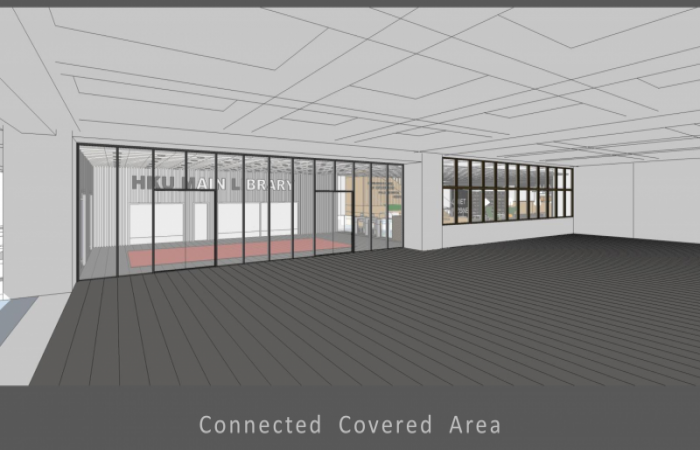 The ground floor Ancillary Entrance/Exit with new entrance/exit doors that adjoin the external Connected Covered Area. 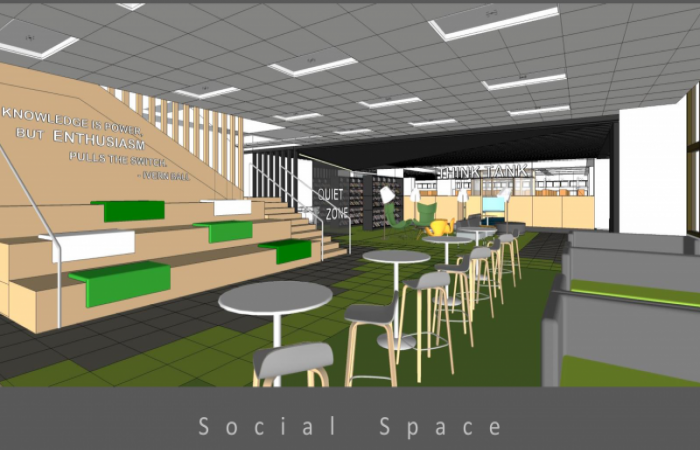 A space to hold simple events and exhibitions. 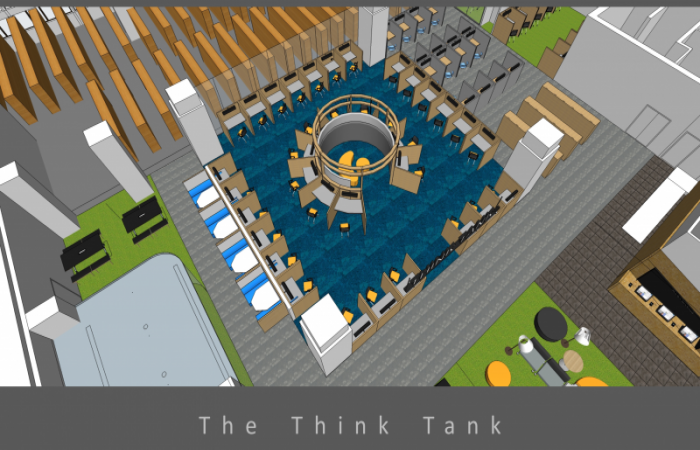 The journey to the new Think Tank begins. 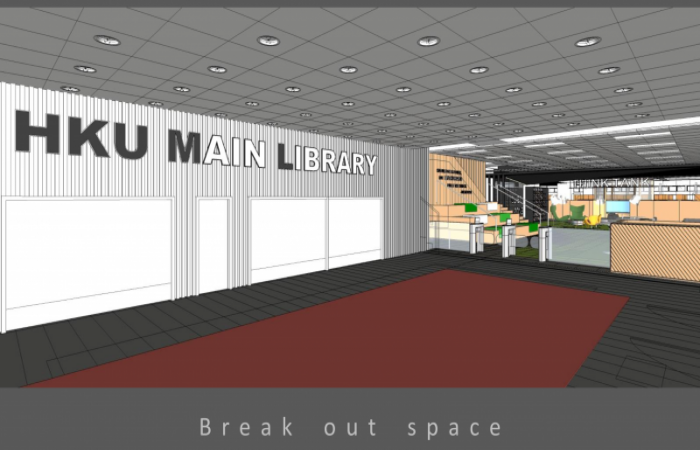 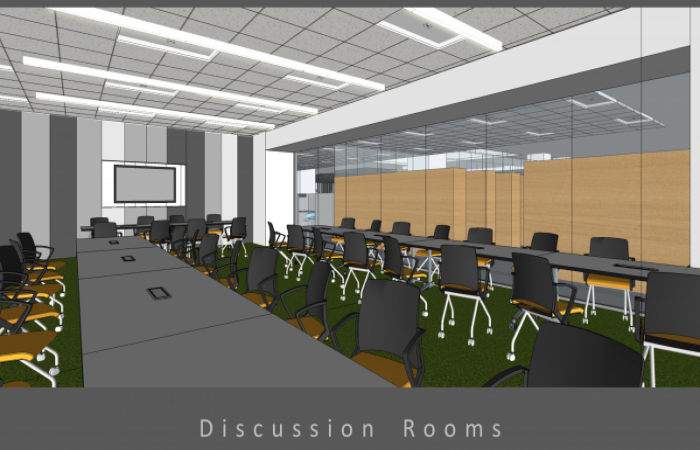 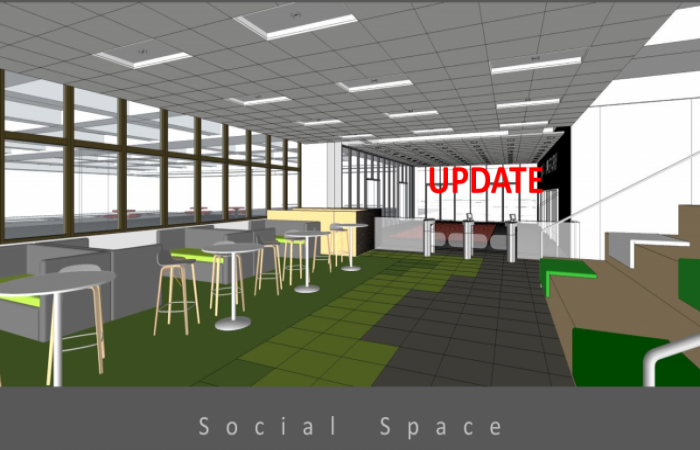 Patrons will initially enter the Social Space, a place to meet and talk with fellow students and staff. 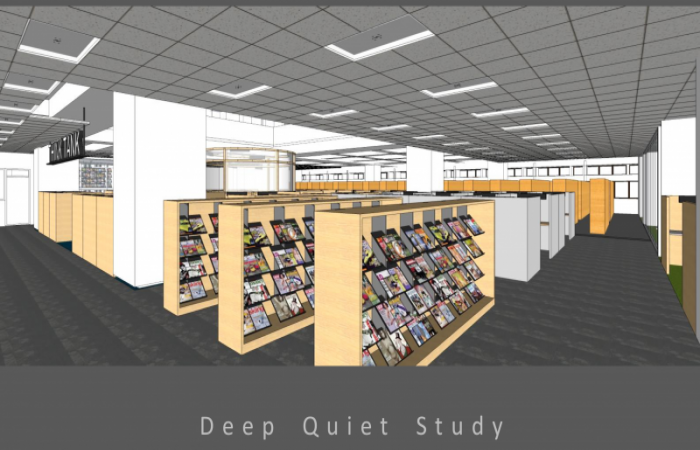 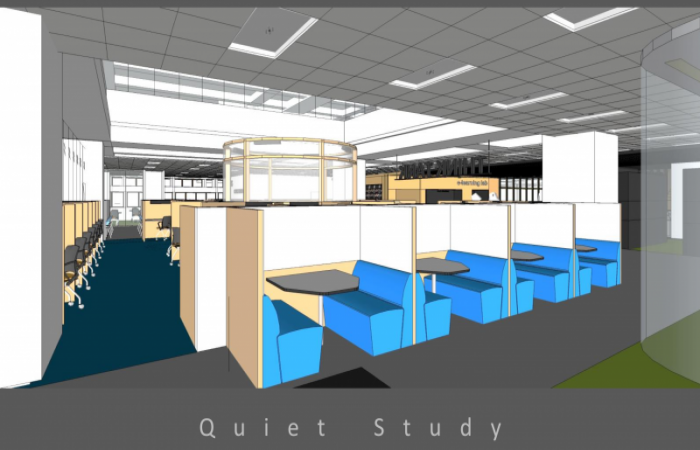 The Leisure Study space will be created for a more relaxed environment for students to take a much needed break and time to self-reflect. 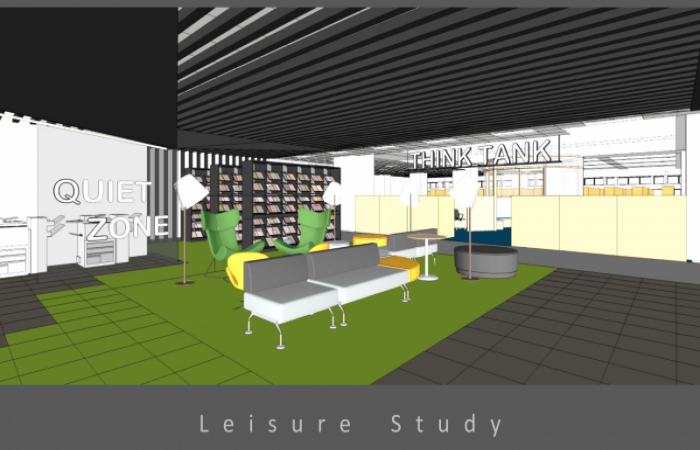 As patrons venture pass the Leisure Study space, the Think Tank emerges. 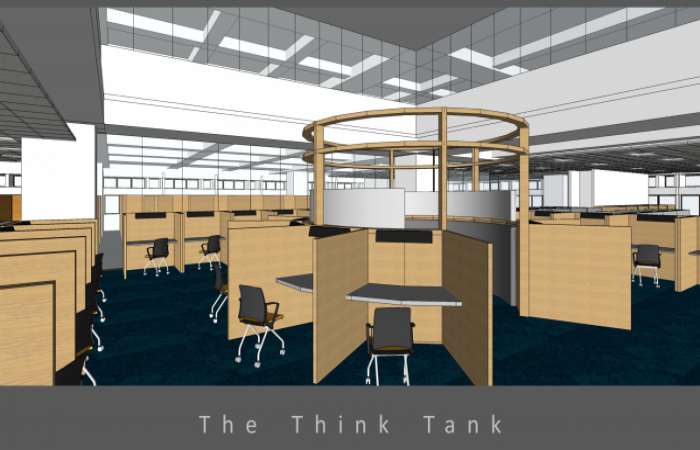 Comprised of the Quiet Study area and the adjacent Deep Quiet Study area and Discussion Room, the Think Tank lies central on the Ground Floor both geographically and psychologically.